Some of the differences are quite striking. Before the class, only 7% of students thought it would be easy to teach tricks to a chicken, but after the class this went up to 61%. Beforehand, 49% thought chickens are intelligent, but afterwards 77% agreed. Most of the students thought chickens had individual personalities before the class (84%), but this went up to 95% after. There were some gender differences, including that women gave higher ratings than men for chicken intelligence. Each year the chickens are named according to a theme. This time it was members of the Royal family, and the brightest chicken was one called Margaret. Students had a clicker attached to the handle of a scoop containing chicken food. When the chicken got something right, the trainer pressed the clicker (making a sound to signal to the chicken they did the right thing) and then let the chicken eat from the scoop. The practical class lasted for 2 hours and included time training chickens and other activities. Chickens were chosen because they are easy to care for and handle in the class – and they are unforgiving of their trainer’s mistakes. The class used a technique called shaping which involves rewarding closer and closer approximations of a task to reach the final behaviour. Students worked in pairs to practice shaping on each other before training the chickens. The class was taught to small groups of students each week over an 8 week period. 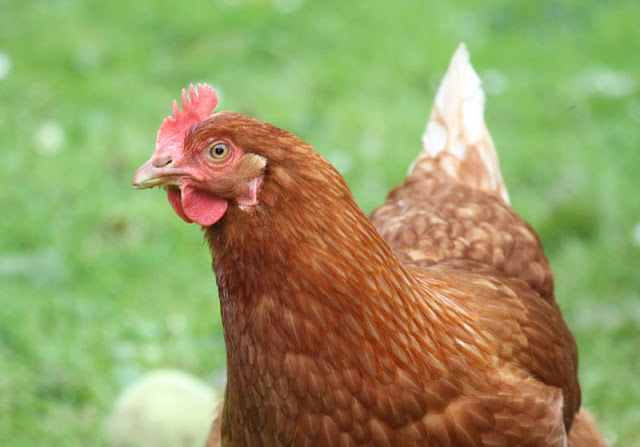 The specific task that chickens were taught varied over time depending on what they already knew; for example initially they were taught to peck a circle, and later to discriminate between a red and a green or yellow circle. Students had up to three sessions to teach their chicken what to do; each session was 5 sets of 45 seconds each. 94 students completed all of the before and after survey questions. The practical was part of a class in Principles in Animal Behaviour, Welfare and Ethics taken by students reading for a BSc in Animal Science or Veterinary Bioscience. It turned out to be an excellent way to teach them about force free training. One of the neat things about this paper is that it does double-duty as both a research study of the effects of learning to train chickens on beliefs about them, and as a model of how to run such a practical class for students. The details of how the class was run are included in the paper, and are based on a chicken workshop run by Terry Ryan in South Australia in 2012. Students were taking a lecture course alongside the clicker training practical. It’s possible that students who took the practical later in the term were also influenced by their greater knowledge; however no such patterns were detected in the data. Some dog trainers attend chicken-training workshops to improve their skills. Have you ever trained a chicken? Where do people get information about dogtraining?